Long story short , power supply in old PC died ( Brown smells ) Purchased new PSU, (Civis brand- 700 Watt) Worked fine. Old PC is very old needs replacing. Planning to use newly purchased PSU as part of new PC build. New motherboard is an Asus Rog Strix X470 I gaming ITX. Motherboard has standard 24 pin and 8 pin EATX. My power supply has one 24 pin and one 6 pin and one 4 pin 12 V EATX. I'm thinking I will trim the 6 pin connector down to just 4 pins and use it with the other 4 pin connector to fit into the 8 pin motherboard connector. The cables are the standard yellow + and black - and all seem to come from the one point inside the PSU circuit card. The PSU is rated at 700 W and my total build is rated 340 Watt. Do you see any problems doing this. ? Strange thing, on opening my PSU I found a gadget. It appears to be a small transformer about a 1 inch square cube attached to the removable cover. I wouldn't modify a power supply if you can get away with it. Most motherboards with 8 pin CPU power headers are actually 8 or 4 pin compatible. Consult your motherboard manual, chances are it will tell you how to connect the 4 pin. Don't use the PCI-E connector as they might not be pinned out the same way. You might blow up the motherboard or CPU. Why are you opening the PSU? When it comes to bad ideas when working on PC's opening the power supply is right near the top of the list... right up there with using toothpaste as a thermal compound. From the sounds of it you've found a ferrite core, or in normal terms, a magnet. They are put in place to help filter out line noise and interference. 8-pin pcie and 8-pin cpu connections are not the same and can not be interchanged. they don't even fit into each other's connections for a reason. trying to do this is a one way trip to ruining some new parts. 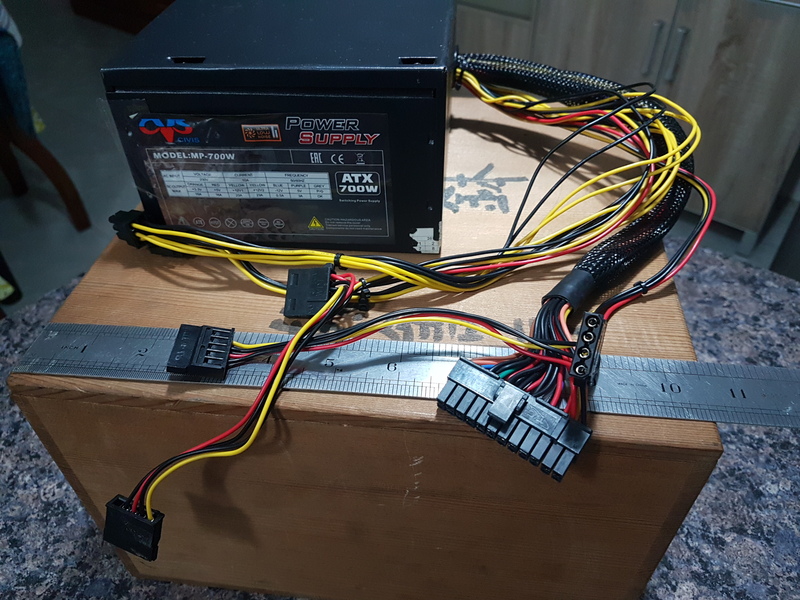 don't know anything about your psu but at 700w it should have the needed connections. this tells me the psu is probably not the best quality and likely should be replaced with the rest of the system. get one from a quality company and you'll have all the power you need in a much less powerful unit. you can post the model number here and possibly a pic of the label on the side of it and can look into it further but i'm pretty sure i know what i'll already find. been doing this long enough and seen enough low quality units to know what to expect based on the connections present. Kind thanks for your swift reply. I have read that some people suggest using just one 4 pin of the 8, leaving the other 4 pins empty. Some say to use just the right hand end 4 pins. Some say this does not work. Seems to be a bit of uncertainty here. I have read the the extra 4 pins will give the Motherboard more available power if required , without overloading just one 4 pin supply. The manual says " Do not forget to connect the 8 Pin EATX 12 V Power Plug , Otherwise the system will not boot. Unfortunately there is nothing referring to using only 4 of the 8 pins or otherwise. Yes , you are perfectly correct, " do not open a PSU, " primarily as there is high voltage inside , however I'm an electrician and aware of safety concerns. But thanks for your reminder. I will be building my new rig into a very small case and I plan to remove the PSU cover and expose the circuitry inside my pc case. 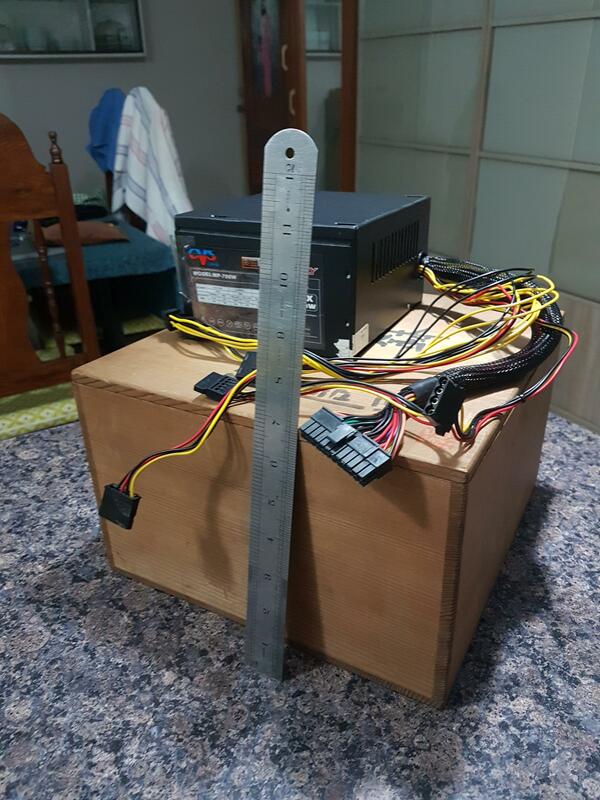 There is not much inside that large PSU case. My PC case is just 12 inch square and just enough room for MB, PSU ,and a GPU. Cooling will be a challenge, however I plan enough fans to cool everything. Ps I already checked the " gadget" it has no residual magnetism, However it could be inducted into it somehow, it is a good suggestion from you, thanks, I guess i will allow for it in my case. 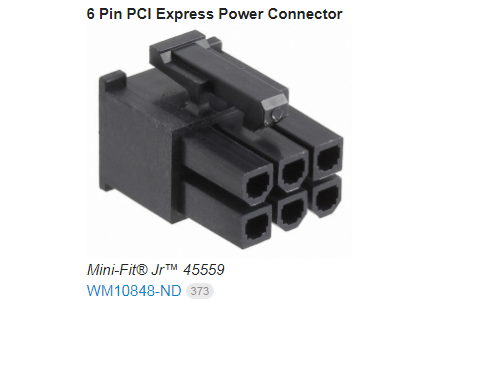 So back to the 8 pin connector,, ??? i'M still unsure to connect all 8 or not. PPs I may be an electrician, but I'm certainly not a PC expert. I got the right type of connector for the CPU , just not 8 pin, the psu has plenty molex type connectors for drives and PCIe etc, just missing an 8 pin power. could you guide me how to post a pic please. Is this power supply a standard ATX one or is it a smaller form factor? They have some pretty nice SFF modular power supplies under the SFX standard. They are a good deal smaller than ATX and might work out better. Some pictures of your power supply would help a lot as well. It'd at least give us a bit more to go on. It might be possible to rig up a connection but stability of the power would be questionable. CPU power needs to be cleaner than most other lines in the PC, so splicing together a connector might draw from less filtered circuits and impact stability, and possibly damage the system. If we were testing on an old system it might be worth a shot... but killing brand new hardware is not something I want to be in any way responsible for. hi and thanks, can you tell me how to post a picture here, please,. Well, in other threads people have posted the pictured to Imgur, but the forum has an insert image function in the tool bar above the reply text box. Others have posted them to other image sharing sites and linked them. So... whichever works for you. hey it worked,, WOW ! Well, the picture worked... that IS a cheap PSU. The picture isn't super helpful though. HOWEVER, I've done some searching and they have 8 pin adapters. So, for $10 you don't have to pull a mad scientist and turn the machine into more of a fire hazard than it needs to be. an 8-pin EPS connection is rated for 235w from what i have read. a 4-pin molex is not even close to that amount. that's asking for trouble using an adapter like that. if i recall right, a molex is around 50w available but it might be slightly higher. but it's nowhere close to 235w for the EPS. hooking a molex up to a connection that might ask for multiple times available power is asking for trouble. if this was an experiment or other play project it might be fun to see what happens. but for your daily driver that you actually need, i'd not risk whatever might happen if you used such an adapter. It all depends on what he is using for a CPU. It might not need anywhere near that kind of power. So, what hardware are you trying to build with? I know you mentioned that this is for a small form factor build, but are we talking a Ryzen 5 2400G or a more powerful CPU with a discreet GPU? according to Partpicker a total of 249 watt. Before posting here at Tom's, i have read other blogs on the subject of using 4 pins or a 4 to 8 pin adapter, there doesn't seem to be an agreed consensus as to which way to go. I am open for ideas. perhaps a new PSU and make sure it has two 4 pin connect. My old PSU had only one 4 pin connector, so it would not have fitted my new system. How many 4P? is so then it is of no use to me. I guess I just buy new PSU. Get a new psu. The unit in your pics is low quality garbage and a potential hazard to the new parts. Yeah, I'm now on the side of getting a new PSU. Molex isn't going to power the 2600X. You simply lack the number of connections you need. If you hack up the PCI-E connector you won't have anything to power the GPU. 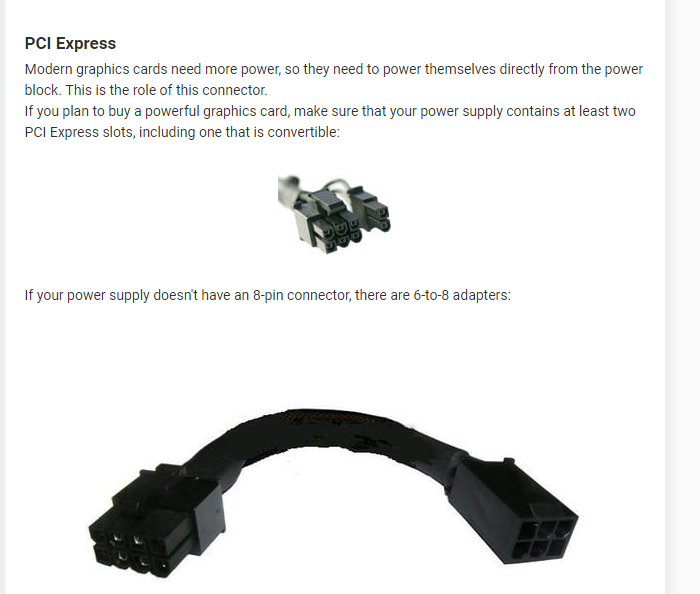 So, check out the SFX form factor PSUs. You should be able to fit them into that enclosure with their casing intact as well. What cables do I need to connect a 4pin d connector to a Seasonic power supply? Which pins to connect to turn HP Z600 power supply on for testing? Connecting LED Strips to my pc power supply.